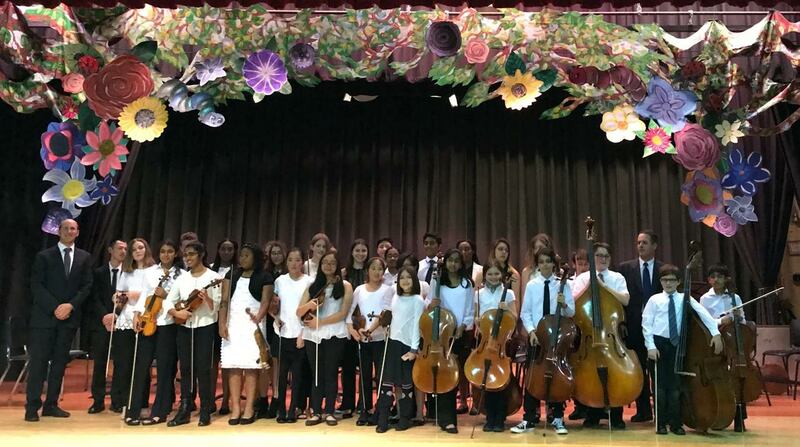 ROCKLAND YOUTH ORCHESTRA ANNOUNCES SEASON NINE CONCERT! Rockland Youth Orchestra (RYO) is pleased to announce its season nine concert. RYO Appassionata will present Allegro in D for Strings by Vivaldi/Frackenpohl, MacPherson’s Lament by Marshall/Phillips, Rainy Days by Yukiko Nishimura and the Second Movement of the Symphony # 1 by Mahler/Dackow. RYO Con Fuoco will perform Romanze from Eine Kleine Nachtmusik by Wolfgang Amadeus Mozart, Hungarian Dance # 5 by Brahms/Isaac, Cumbia y Congo from Danzas de Panama by William Grant Still, and Perseus by Soon Hee Newbold. The program will take place on Thursday, May 24, 7 – 8 p.m. at South Orangetown Middle School (SOMS) on 160 Van Wyck Road in Blauvelt, New York (10913).